I’ve been asked many times, why have I done this podcast series? 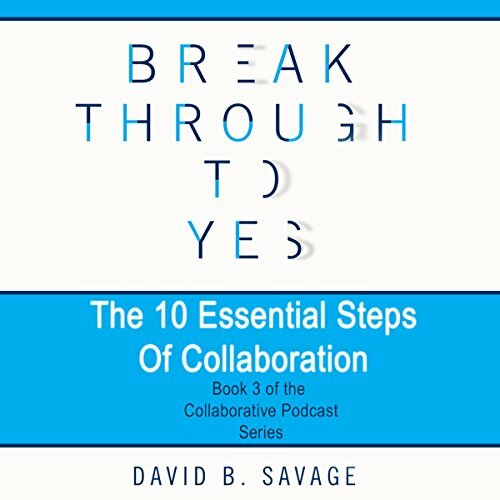 Why have I written Break Through to Yes: Unlocking the Possible Within a Culture of Collaboration? Why is collaboration so important? I’ll tell you why. We need it. I need it. Our future needs it. Business is forced into silos and must give up to an open and agile system that better suits today's world and our shared future. We must create shared value. We must think critically. The costs of command and control leadership are getting higher. During my 42-year career in business, I’ve held titles including director, president, and chief operating officer. I have seen many and repeated failures, sometimes with the cost of billions. These failures affect organizations and their capital projects and operations. When a company starts making mistakes, tries to force its agenda on others, or is in conflict with its own stakeholders, the consequences are significant. People revolt and profit margins are destroyed. Projects get delayed in regulatory and community review for extended lengths of time. Employees simply don’t give their best because they do not trust the systems they work in, especially when they have little influence in the processes or programs in which they are involved. The cost to organizations can be both internal and external disengagement, rejection by regulatory bodies and governments, rejection by impacted communities, and damage to the environment. Add to that a wide range of negative human impacts including everything from depression, conflict, suicide, marital breakdown, and career paralysis to the loss of intelligence and vision of the brightest people in your business, simply because they mentally and spiritually check out when they come to work. All this means lost productivity, lost opportunities to grow and prosper, and distracted leaders and workers who no longer feel able to do good work. Leaders and organizations, however, can gain a strategic advantage by avoiding all this energy and revenue-zapping negativity simply by working together to build a culture of collaboration.